Welcome to our website. You have come to the right place for all your Medicare Insurance needs. Our firm is staffed by people committed to providing our clients with highly personalized Medicare Insurance service. Our objective is simple: To identify and help minimize our clients’ exposure to the risk of healthcare costs. We accomplish this with emphasis on top carrier relationships, competitive premiums & benefits, and overall simplification of Medicare insurance matters. Our approach is direct: First we listen to learn about you and your unique Healthcare needs. 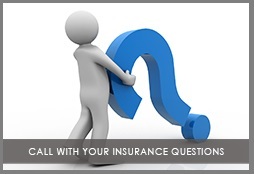 We then analyze your options and recommend a health insurance that is cost effective and meets your needs while providing real benefits you can use on a daily basis. A Wisconsin Service Disabled Combat Veteran owned and operated business. We’re proud to continue to serve the individual and families of Wisconsin and we look forward to the opportunity to serving you.